Matthew Tyldesley is a cosmetologist from Louisville, Kentucky. He has been a skilled hairstylist who has been working behind the chair for the last 16 years. He caters to a diverse clientele at Hair by Charles and Company. His love of working with the public allows him to balance both creativity and customer service. 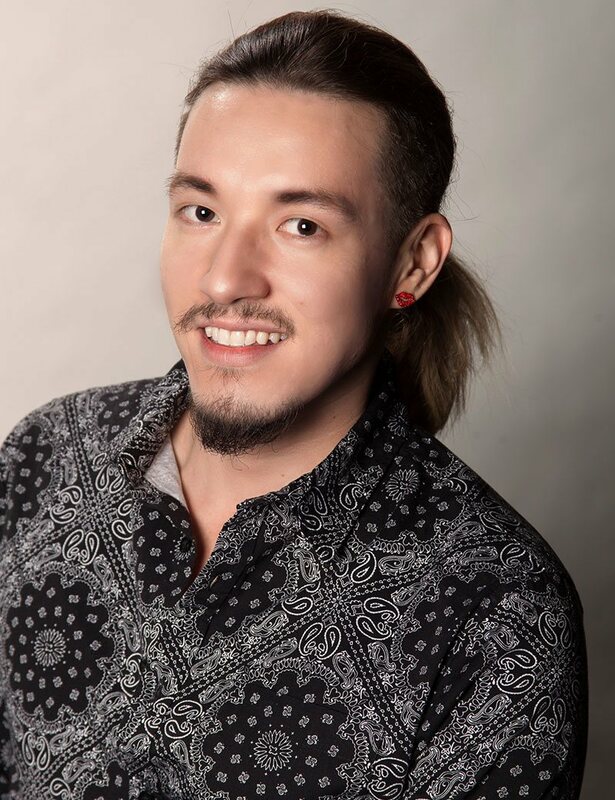 In addition, Matthew has been a Redken Artist for the last six years facilitating classes for other stylists throughout the region specializing in hair color and styling. Working for Redken has gained Matthew experience working backstage at hair and fashion shows such as Centricity, Premier, Symposium, NYFW, LAFW and NCFA Style Week. In his spare time he continues to perfect his craft by orchestrating photo shoots with local photographers, designers, models and artists and has been published nationally, internationally, in print and online in such magazines as American Salon, Modern Salon, Beauty Launchpad, Extol, Churchill Downs and The Voice of Louisville. His passion for education fuels his own growth as Matthew travels nationally to attend hair conference and hands on trainings to further develop his skills, knowledge and credibility as a hairstylist. For Matthew being an “artist” means constant practice and to stay immersed in the industry. Among his accomplishments include being An American Certified Hair Colorist, Redken Certified Hair Colorist and Designer. He won the North American Hairstylist Award (NAHA) for the 2016 People’s Choice Award. Named the new face of social media beauty influencer 2016 by Modern Salon Magazine. Lead hair artist for Laura's Angels Fashion Show 2016, Lead hairstylist for NYFW 2016 for designer, Stevie Boi and Tiffany Rae. Nominated for the North American Hairstyling Award (NAHA) for Men’s Hairstylist of the Year 2014, Worked backstage at the 2014 MTV Video Awards, Styled hair for Miss America 2015, The 2016 Miss America Preliminaries, was voted #1 Hairstylist in Louisville 2014 (Louisville Magazine), Lead Hair artist for The Runway for the Roses show 2013-2014, Lead Hair artist for the Skyrise Fashion Show 2013, Lead Hair artist for KMAC couture 2013. He also did the hair and make up for the Y-Box commercial seen in the film “OVERTIME” and was lead hair stylist for the upcoming film, “Loss Prevention”. Matthew works regularly on beauty team for regular publishing in “The Voice of Louisville” lifestyle magazine. Want your work to go viral? Featured on a magazine? This 3 day workshop will take the mystery out of working behind the scenes of a shoot. Learn the “how to’s” of getting started in editorial styling and start building your own book. Editorial stylist Noah Hatton will take you from the beginnings of the theory and workings of a real fashion shoot into the basics of editorial styling. Get caught up in the energy of a real shoot when on day 3 you work with a photographer, stylist, makeup artist and model to create unique looks for your promotional use.